Eats n Feats: On The Road Again!! Just a quick note and a promise to do better with this blog thing. We have said good by to our friends (the ones who hadn't left yet) at Palm Creek and are now in NW Arkansas visiting my mother who had heart surgery recently. Moving on to Hot Springs for several months to check out the Village and base ourselves while we make several trips, including one to Denmark go visit our new grandchild. Just before leaving PC, I got together with a group of ladies who are big beaders. We call ourselves the "Bodacious Beaders" and I'm looking forward to next year and learning more about beading. In the meantime, I've made trips to Michaels and Jo Anns and have several projects planned. 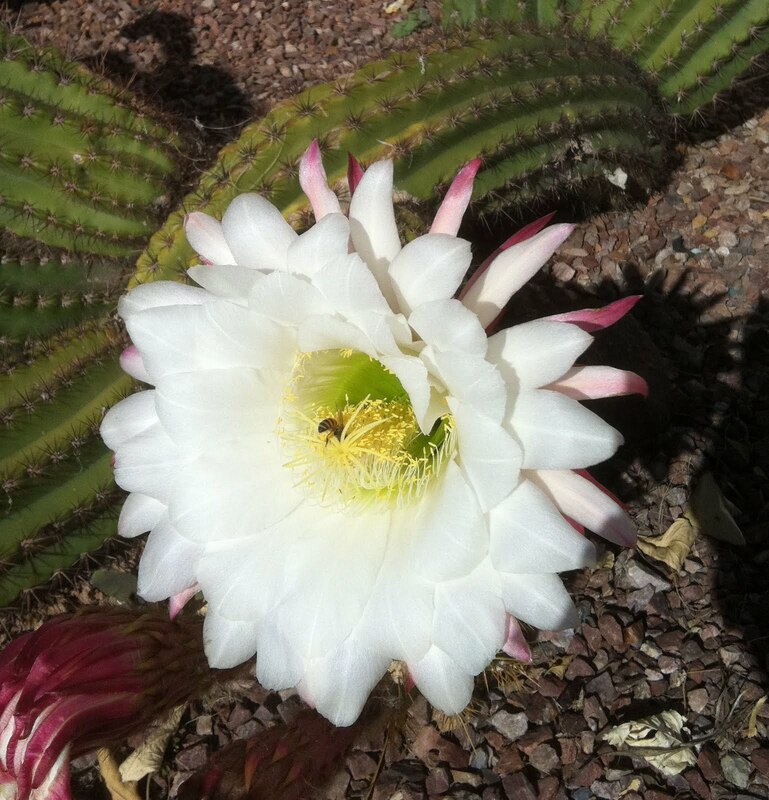 I leave you with this picture of a cactus flower that I took before we left AZ. Love it when the desert blooms!! I can attest that Jaylene is quite the "Bodacious Beader" and a great cook, Hank is still eating the brownies (I froze). Ya'll have a great summer and stay in touch.